When Michelangelo produced a marble sculpture, he talked of ‘releasing’ the figure from the stone. Each strike of his chisel moved him a little bit closer to revealing the potential within. When I returned to competitive cycling more than five years ago, I thought of my body like that heavy block of stone. I believed there was an athlete within, but it would take a lot of chiseling to release him. I once read an interview with a former professional cyclist who was asked by the magazine’s journalist: “What does it take to become a great rider?”. The cyclist’s answer: “Choose you parents very carefully.” It is clear that genetic make-up represents a significant contribution to elite sporting success, especially so in endurance sports such as cycling. But genetics are only a part of the story. Some sports scientists attribute up to 60% to 70% of an elite road cyclist’s likely success to genetic inheritance, with maternal inheritance (ie the mother’s genes) the most important. My Dad was never an accomplished sportsman, but my mother was a talented long-distance swimmer in her youth. When I was seventeen years old I had my VO2 Max measured. VO2 Max calculates the amount of oxygen your body can use in one minute measured per mL for each kilo of body weight, and is expressed as mL (kg/min). A sedentary male typically has a VO2 Max of around 50 mL (kg/min), and a ‘recreational’ cyclist around 60 mL (kg/min). As a teenager I achieved a reading of around 76 mL (kg/min), which is close to someone like Simon Gerrans (Aussie pro cyclist riding for Orica GreenEdge). 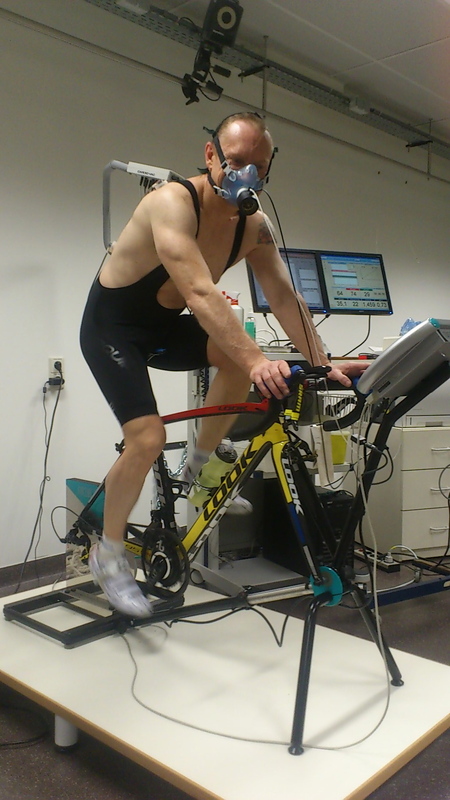 Tour de France winner Cadel Evans is reported to have had a VO2 Max of 88 mL (kg/min), and Greg Lemond 92.5 mL (kg/min). So thanks for the lungs Mum! But while physiological indicators such as VO2 Max, efficiency of motion, and power output per kilogram of bodyweight are clear and established markers of fitness, most sports scientists agree that there is more to cycling success than physiology – other key factors include training methods, technique, tactical wisdom and motivation. Training methods can be learned, and tactical wisdom and technique (such as descending and cornering) come with coaching, experience and racing. But motivation is a completely different story. Once you understand how to train, almost everything about becoming an elite road cyclist involves willpower – or what the psychologists call the locus of control. A journalist once asked the former professional Jens Voigt what goes through his mind when he is at the extreme edge of suffering in a race breakaway. 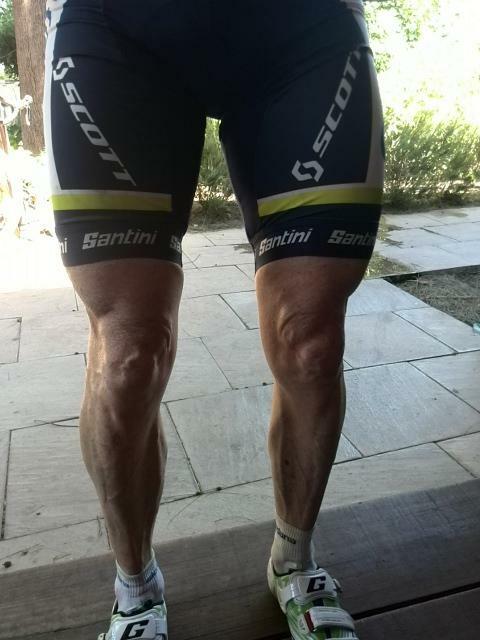 “Shut up legs” was his response, a statement that has become a worldwide mantra for cyclists. As Voigt understands, the key to becoming a winning cyclist lies in one’s ability to embrace suffering. It’s about riding in terrible weather, pushing yourself beyond your limits, dieting and sacrificing other priorities to make the time for riding and competition. A few weeks ago I was training in the Belgian Ardennes near the border with Germany. It is a beautiful area with good roads, forests and long winding climbs. Although mid summer, the weather was foul on the day of one of my rides. Looking out of my hotel room window after breakfast, the wind was howling, the sky dark with clouds and the rain coming down sideways. When I Googled the day’s weather forecast things were only expected to get worse. I trained for around 100 kilometers in the rain and wind, and did not see another cyclist for more than four hours. At times I crawled up those long sweeping climbs as the rain lashed in my face, and by the end of the ride I could feel that my body was completely drained – that I had used almost every ounce of energy to push the pedals and to keep warm. At one point a few hours into the ride, as the rain penetrated my overshoes and my feet became soaking wet, my mind started to tell me to turn around and go home. But I didn’t. Because my will told me that this was part of the journey. I can’t say that I truly enjoyed myself on that ride through the Ardennes – that would be misleading. But I understood that what I was submitting to was part of a bigger objective that will come many months down the road. That’s the locus of control – the willpower to do the difficult work that needs to be done, in whatever endeavour you decide to excel at in life. It’s about having the fortitude and self-belief to keep chipping away at that block of stone. The legs of the top of the post are really mine – after five years of chiseling!